I was a “perfect parent” before having kids and then it happens: I became a parent! When my kids were first born I did everything right. I read every book, double checked everything twice, sometimes three or four times before leaving the house. Some new moms handmake everything that went into their child’s body or wore on their body. Then it dawns on you. I’m not perfect, in fact I’m not even that great of a parent! And sometimes, you even fail in parenting 101. But that’s okay. I don’t want to be perfect. I try my hardest to make sure they are not in harms way, don’t eat too much sugar and if I’m really doing my job, I try and keep myself (and the kids) out of jail! I do not look good in stripes or orange! Honestly, I just don’t want to screw up too terribly. Want to know what helps? I surround myself with mothers who are just like me, not “perfect moms”. I also feel better after watching Nickmom when the kids got to bed. It’s a perfect reminder that I’m not perfect and that is OKAY! But life has changed for me since having kids. 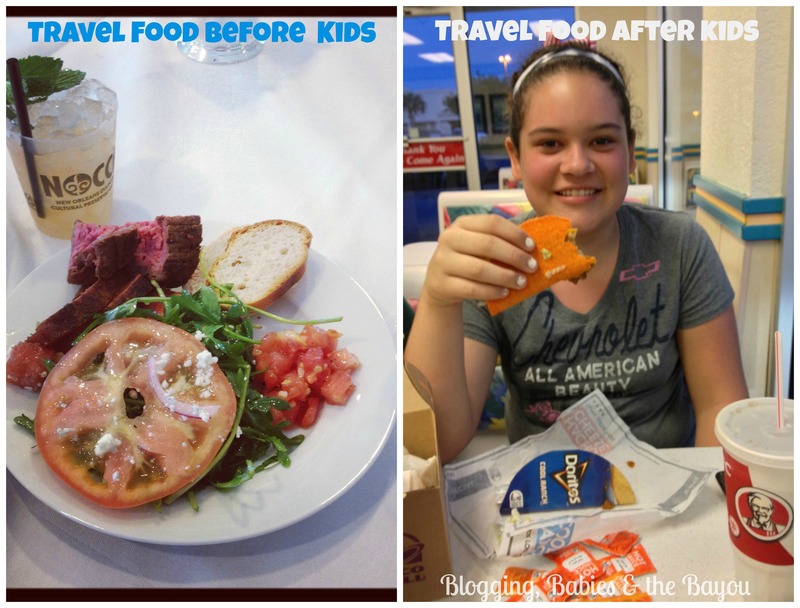 Since I focus on travel and tourism on my blog I thought I would illustrate how we traveled before and after having kids. First off you have succeeded by not forgetting to BRING the kids. You don’t want to pull a Home Alone memory for the little ones. Before having kids, we planned travel revolving around key element: Relaxation, Adventure and Experience. When you have kids travel revolved around theme parks, how long you will be in a vehicle with your kids and will they (or I) be medicated while we are driving to our destination? 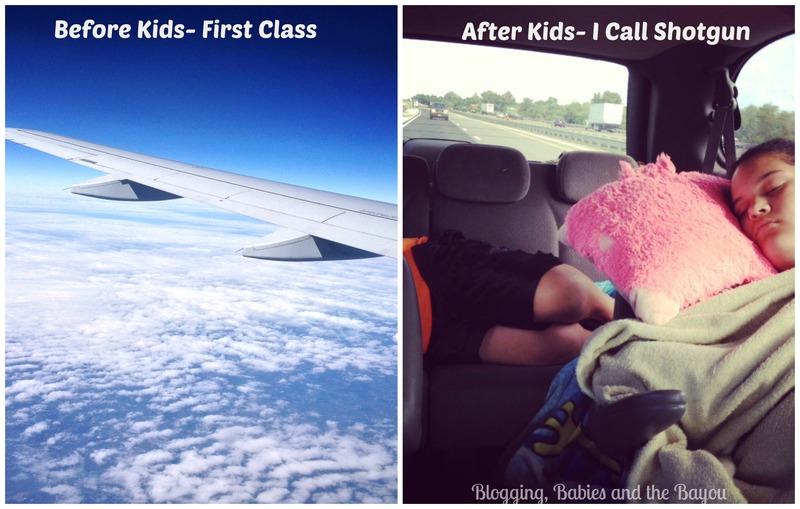 Traveling before kids meant you only traveled 1st class! Traveling after having kids means smelly feet, hoping for no vomiting or peeing in pants. Please dear God, do not forget the charges and earbuds for you the kids. Remember scuba diving in Hawaii or para-sailing in Mexico? Those were the best day of our lives. Now we build sandcastles and look for seashells on the beach. Yes honey, you can bury me in the sand….again! 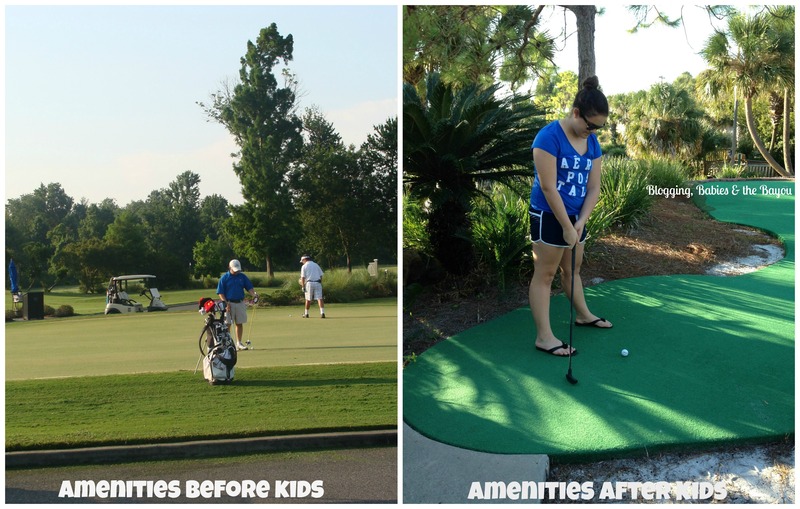 Traveling before kids meant spending an entire day at the golf course, having a complete spa day or shopping day all to yourself. After kids: arcades, carousels and a 2nd round of putt putt. Food? Top local restaurants, food crawls and celebrity chef dining is out of the question. Instead, it’s from the kids menu, wrapped in paper or you get a completely overpriced $15 kid’s meal! Have you ever purchased local art in New Orleans, fine wines from a winery in Napa or had an African artifact shipped to you as a souvenir? Now it’s pressed pennies, stuffed animal of your favorite mouse and the dreaded local t-shirt. 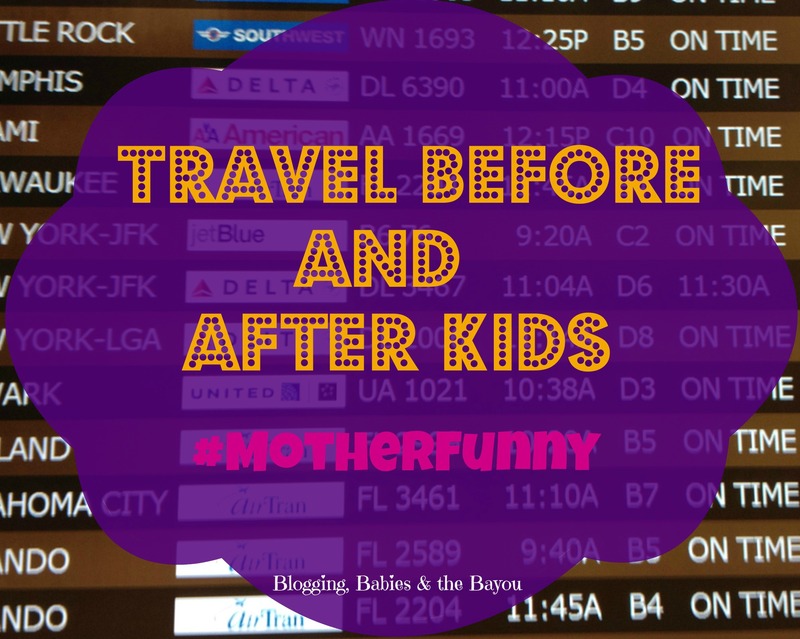 We love our kids, but traveling before and after kids is night and day. The experiences may still be rewarding, your pockets have less jingle when you return home and of course, you need to drink more than usual (due to necessity). But look on the bright side, you REMEMBERED to bring your kids on vacation and brought them home in one piece! Joy…. How has life changed for you since having kids? JU SO FONII!!! After my trio, let’s just say BB’s developed a true taste and addiction for pressed pennies. ; ) BB2U mujer. Oh yes so true! We have 5 kids and when we travel I feel like I am taking everything but the kitchen sink with! No more quite places to visit, it’s all about the kids! So true, lol. So much changes after we have children. OMGoodness, what an Awesome post and all so true! 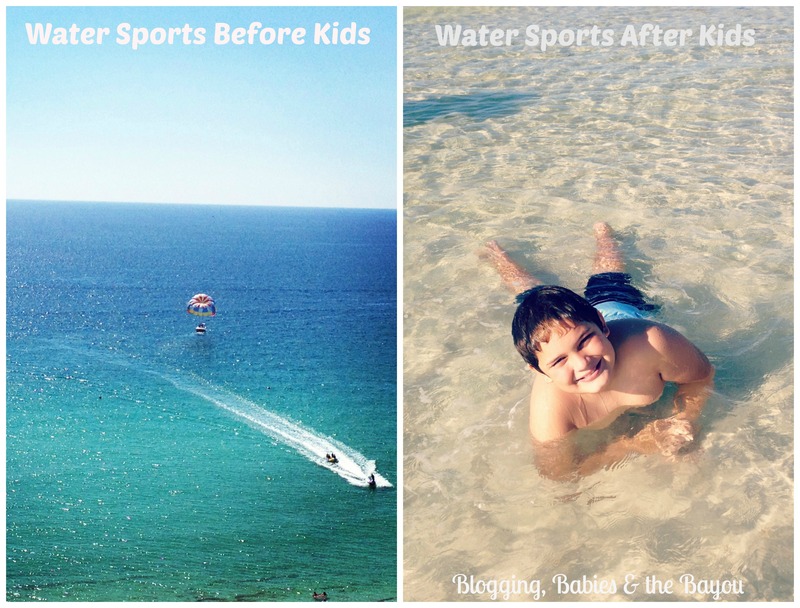 Life surely changes when you have children….love this post! Oh boy, yeah i’m sure that changes a lot! Looks like your managing well! Thanks for sharing! So fun and yet so true! They change your whole life,for the better! Before kids certainly was much easier! This is a great post. Thank you for sharing! 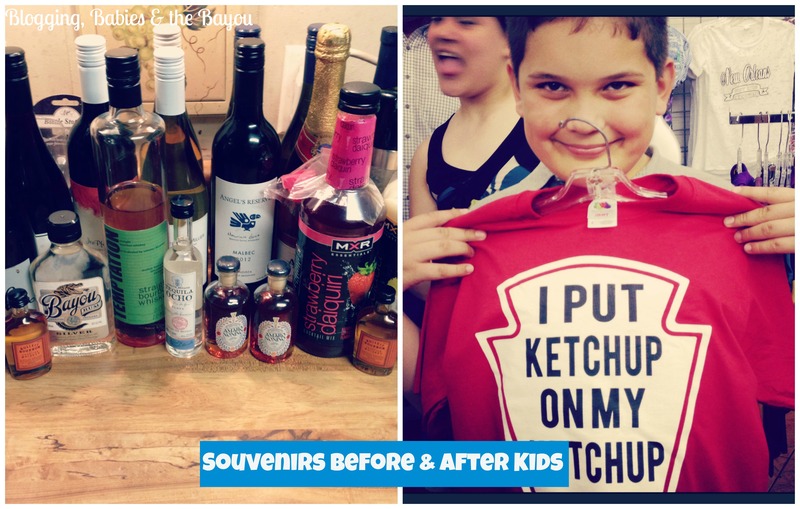 All our kids are grown, so traveling has become easier…. and then the Grandkids came along… back to square one. The good thing about that is the parents have to worry about what goes traveling and what doesn’t. You got some great pictures on your travels. This is so true. I was a perfect parent until I had kids too. I didn’t realize how much they would change my life! This is soooo, soooo true! Somebody said to me recently that when you are with kids its a trip, not a vacation. Exactly!! What a funny post! I love it and so many of those things rang true for my family also. Now that my kids are grown and out of college we are doing the before but many times now with our adult children. I totally agree. Traveling has totally changed since we had kids. We need a vacation!! I don’t have any children and I am single-and I am not much of a traveler–but this I do remember–before my friends had kids-we went places and did things far different then after said kids were born! Heck-it was fun anyway! The differences between traveling with ids and without them is so different. Oh, how true is this! I actually find that I love traveling more with my kids though. It’s fun to relive childhood activities through their eyes! I needed this, I could not stop laughing. It is quite different the difference between the two, but I bet you would not trade it for anything. So true how it changes before and after kids. Your family is beautiful so it seems worth the trade. This is so true and it definitely was easier to travel before having kids. I love being a mom so it doesn’t even bother me that it is a mission to go anywhere with the kids. This is such a great post. Too true! My kids are older, 19, 16 and 9. 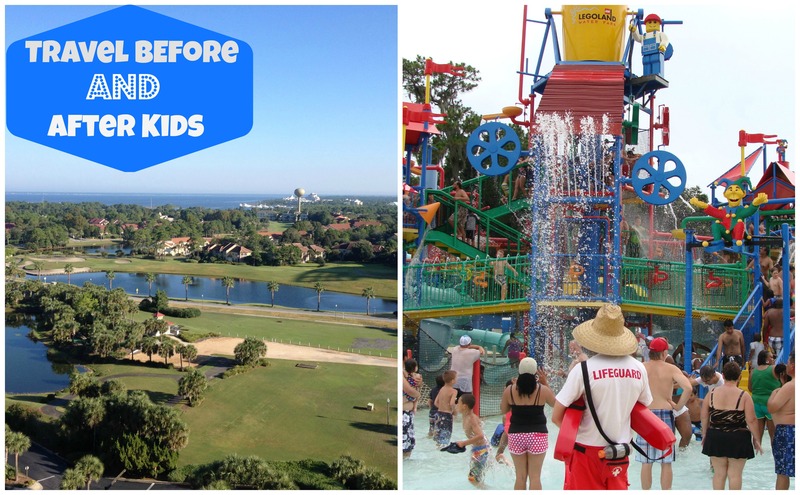 When we travel, each family member gets to pick an activity or attraction — even the grown-ups. We start vacation with the youngest member’s selection so she knows her voice is heard (unless weather makes us switch up the routine). Another rule, we NEVER eat chain restaurants at our destinations! My kids have become foodies and look forward to the culinary adventure as much as I do. We’ve eaten slimy critters in China, paté in Paris, and spicy chiles in Mexico. They grew into the adventure through the years and that attitude has enriched all our lives. I know about this all too well!! The rare occasion that you get to leave the kids with Gma, and you get a glimpse back into the “good life”!!! Thank you for sharing NickMom.. I’ve never heard of it.. just a quick look at their site and I am in love! Helps me validate a little more on how I am getting through and we all don’t have to be perfect! I have yet to travel with my children but I can imagine it would be something like this! SO VERY TRUE! love the photos and how you show your personality here. Your post seriously made me laugh out loud!! It is so true in so many ways. I absolutely love you in the astronaut pic!! hahaha I can certainly agree. 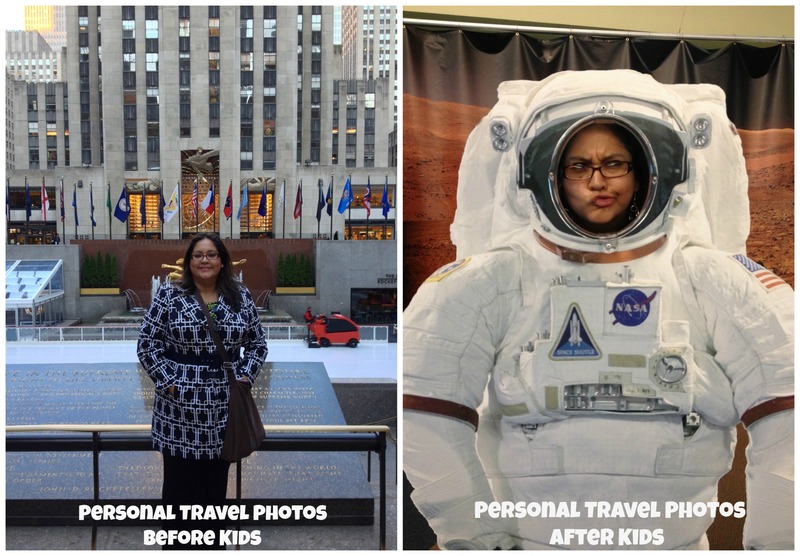 I did a LOT more travel before the kids. I still try and do something once a year with them but I oh so wish I could go to the places I did before. TweetShareLike this post? Please share! Photos used with permission from the photographer. TweetShareLike this post? Please share!